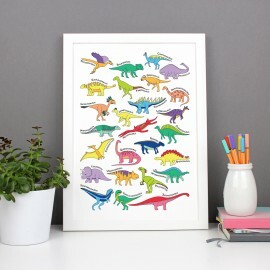 This super cool and colourful print is perfect for any dinosaur lover. 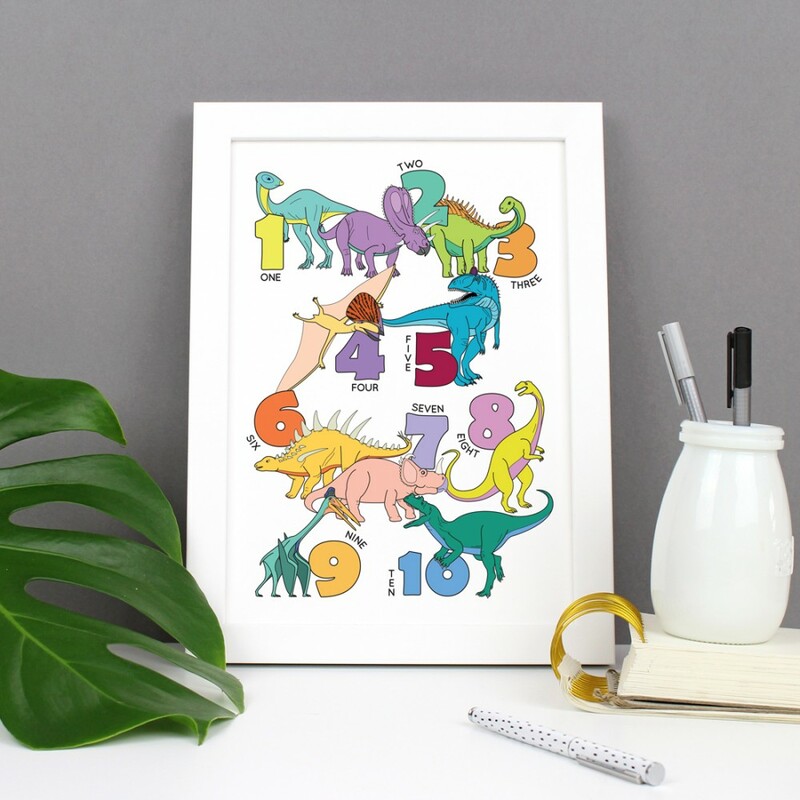 It features the numbers 1-10 with text and has an assortment of bright dinosaurs accompanying each number. 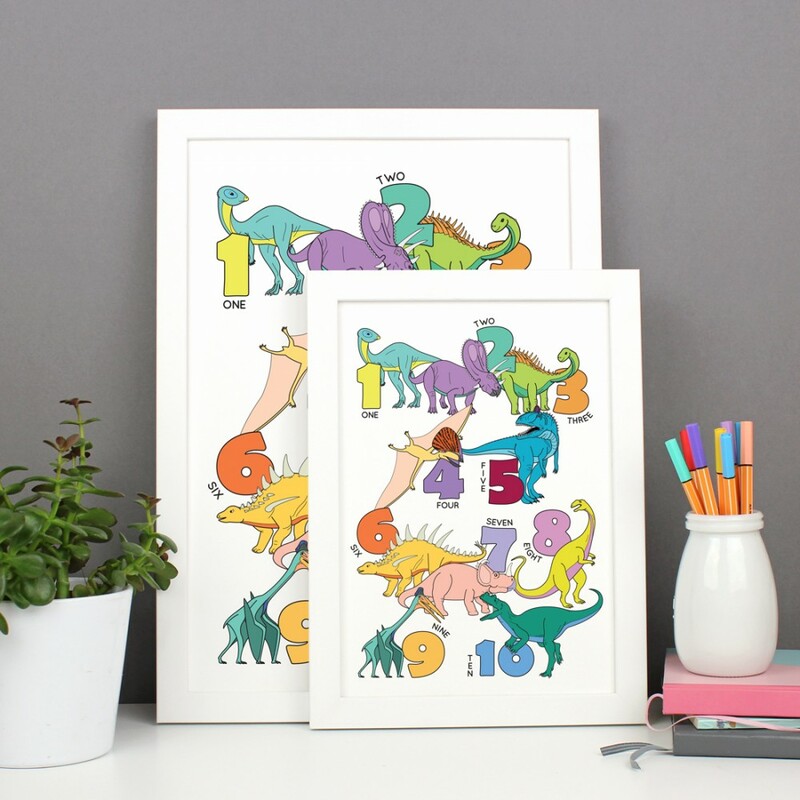 Each dinosaur is drawn by me. 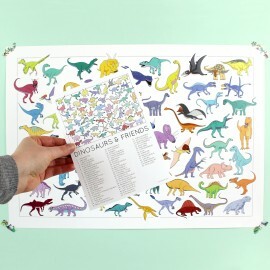 Unframed: posters will fit in most standard A4 or A3 frames. 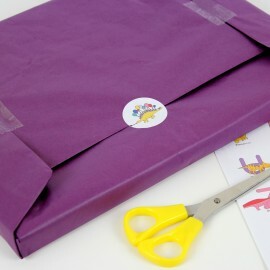 Unframed prints are shipped flat on thick cardboard with cello bag for protection then placed in a board backed envelope ensure they are not damaged. 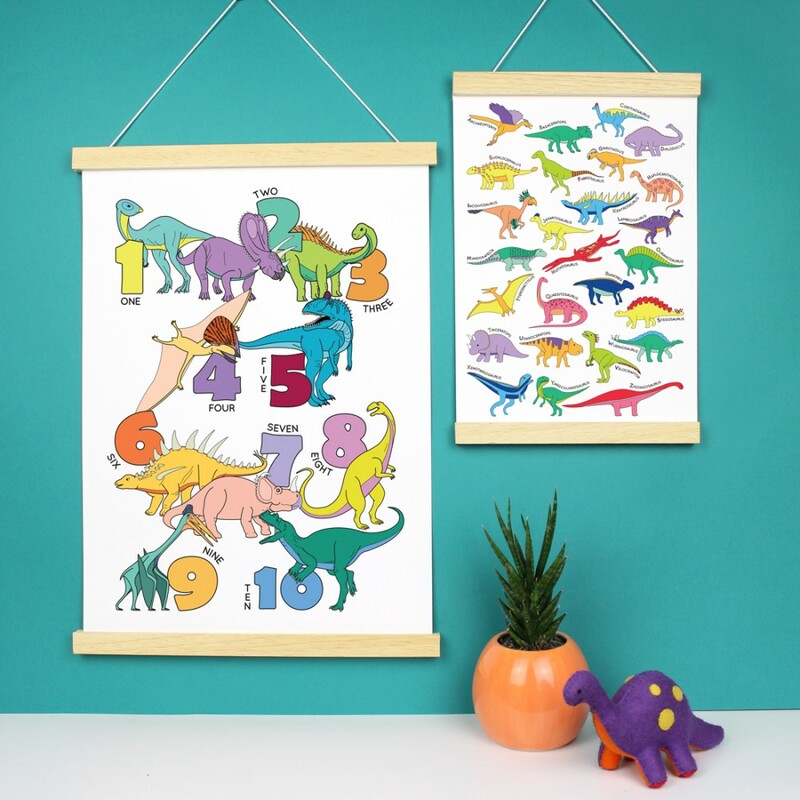 Magnetic poster hangers: Made from solid natural uncoated wood (obeche) and white string with strong magnetic tape. 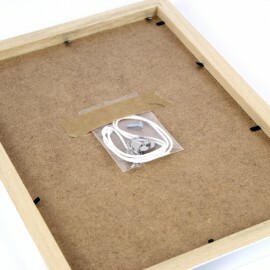 A4: 210 mm wide x 18 mm high and 6 mm deep, A3: 300 mm wide x 18 mm high and 6 mm deep. Magnetic poster hangers are wrapped in tissue paper and posted with the prints. 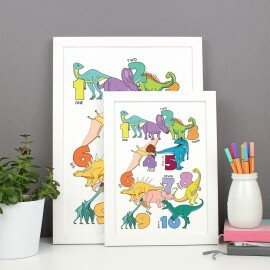 A3 prints are posted in tubes, A4 prints are boxed. 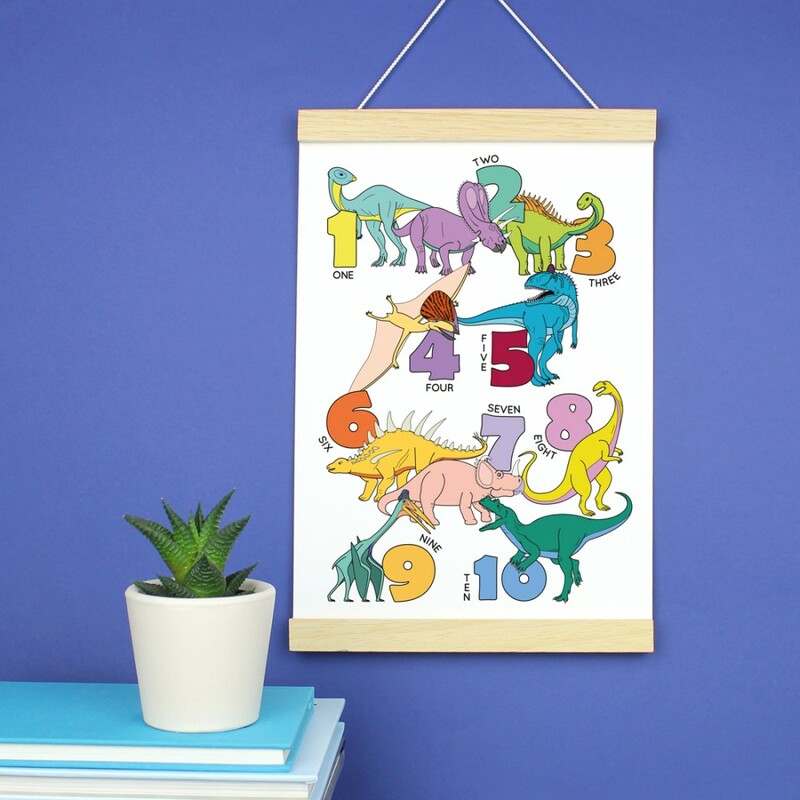 Prints, frames and poster hangers are printed or handmade in the UK. 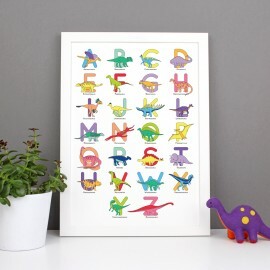 This cute print is a great gift for babies and children and is a fun way to learn the alphabet and d..